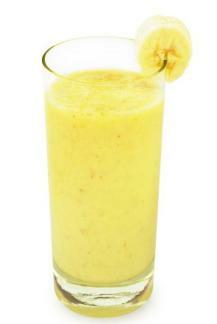 A protein smoothie recipe provides a great way for vegans and vegetarians to get some extra protein in their diets. Try these recipes as a jumping off point to creating your own delicious protein-filled drinks. 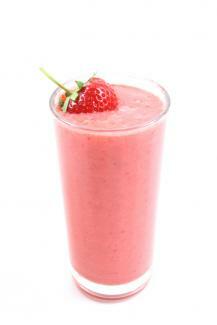 This smoothie blends the sweet and tart tastes of fresh strawberries with the nutty taste of almonds. It packs a protein punch from the almond milk, nut butter and egg whites, while also providing some omega 3s from the flax seeds. Makes one 14-ounce smoothie. Pulse until the strawberries are broken into smaller pieces. To get the most out of your flaxseeds, grind them just before you add them to the smoothie. 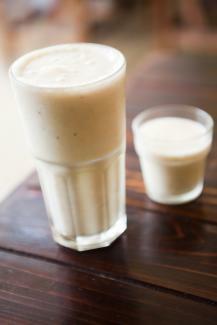 The peanut butter in this smoothie adds some extra protein, while the banana lends some sweetness. Makes one 14-ounce smoothie. Cut the banana into one-inch chunks. Pulse to break up the bananas further, and then blend for 30 seconds until smooth. This sweet and satisfying shake will help get your day started off right with the flavors of orange juice and banana mixed with creamy Greek yogurt. Makes one 16-ounce smoothie. Blend on high for 30 seconds until smooth. This fresh, raw smoothie uses hemp protein powder, which gives the tropical fruit a slight nutty background taste. This makes about 2 cups, or one very generous serving. Blend on high for 45 to 60 seconds or until smooth. 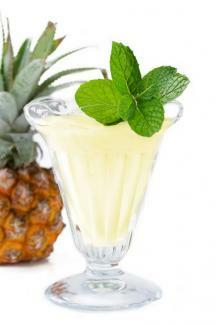 For a thicker texture, cut the banana and pineapple in chunks and freeze before blending. This fresh and tangy smoothie gets its kick from cold green tea. Makes about two cups. 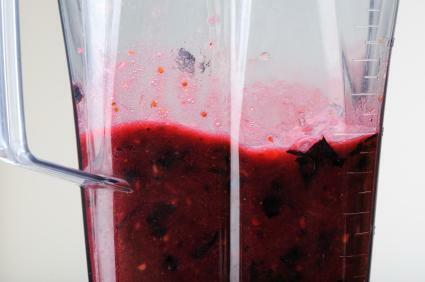 This sweet smoothie is packed with berries rich in antioxidants. Makes about 2-1/2 cups. Place ingredients in order in a blender. Blend for 45 - 60 seconds until thick and smooth. This thick, creamy smoothie will make you think you're having dessert. Makes about 2-1/2 cups. Blend on high for 45 - 60 seconds until smooth. 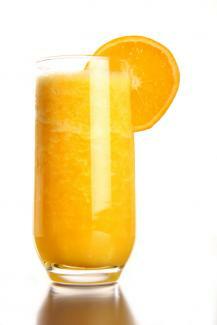 This sweet smoothie has a rich, hearty taste that makes it feel substantial. Makes about 2-1/2 cups. 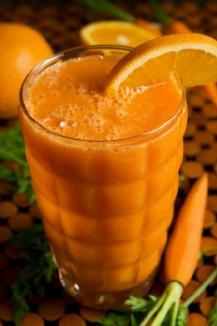 Blend for 45 - 60 seconds until smooth. You may add raw hemp seed protein powder for an extra boost of protein. Tahini: Tahini is a paste made of sesame seeds, and can be found in most supermarkets these days. Use just a spoonful of tahini in your smoothie to bump up the protein count and add a rich, nutty flavor. Quinoa: Quinoa is regarded as a grain, but it's actually a relative of the spinach plant. It's full of protein, however, and is perfect when added to smoothies that also contain soy to create a more complete protein source. Cocoa powder: How about a little chocolate in your smoothie? Cocoa powder is very tasty mixed with fruit and soy milk. Silken tofu: Replace yogurt or even egg or whey protein with silken tofu to get a smooth, creamy smoothie that is also vegan friendly. Almond or cashew butter: While peanut butter frequently gets all the glory, almond and cashew butters are also excellent sources of protein that can add a new depth of flavor to your smoothie. 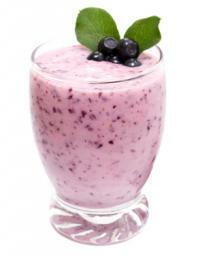 Smoothies are not only a great way to make sure you get the protein you need each day, they can also be a great treat. Try these smoothie recipes and see how easy and delicious it is to start adding some extra protein to your diet.